Most of the country is in the midst of a massive cold front right now. Parts of the US are seeing temperatures reaching -30 degrees F (-50 to -60 with wind chill!) and it is brutal. It’s less insane here in Arlington, but still in the teens. Cold enough certainly that I’m thinking comforting, warming foods like pasta and stew. 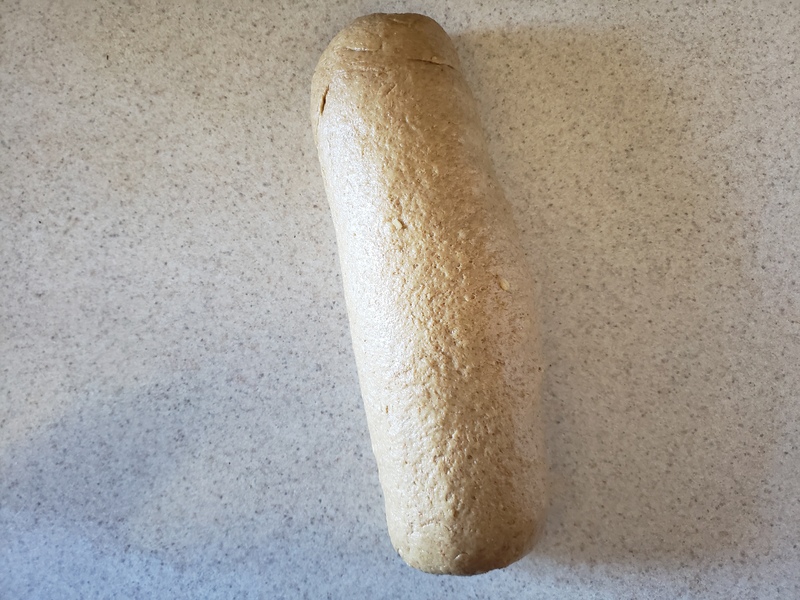 When I turned to bake my weekly bread, I decided to go with something a little heartier too. Brown bread seemed like just the ticket. I opted for a traditional baked loaf, rather than the steamed Boston-style brown bread. I also decided to include whole wheat flour and oats to make it extra filling and nutritious. 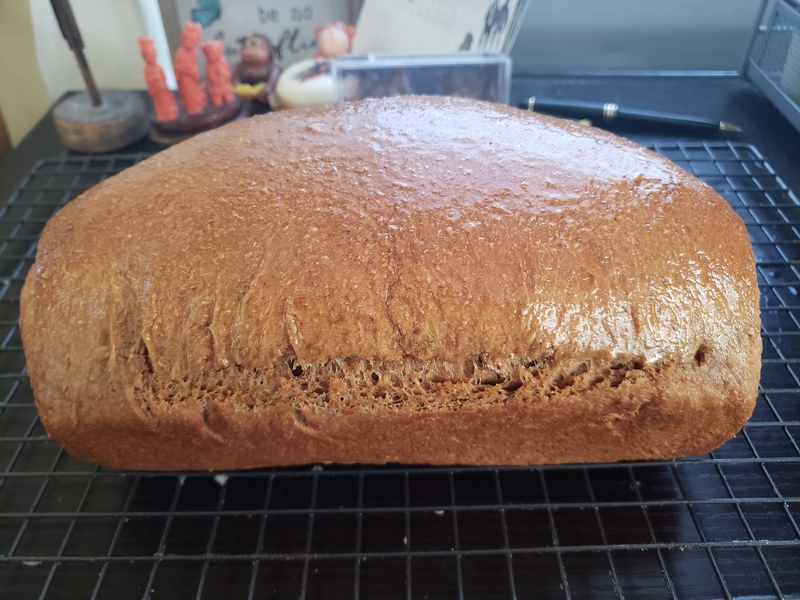 The result was a slightly sweet, moist, and rich loaf that’s equally suitable for sandwiches or eaten plain alongside a bowl of hot soup. 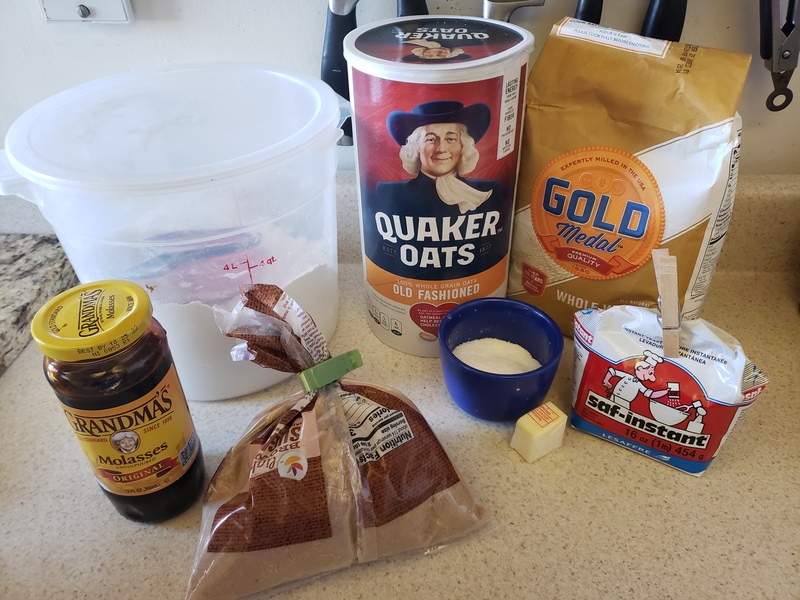 Combine the boiling water, rolled oats, unsalted butter, and kosher salt in a small bowl and allow the mixture to cool to between 110-115 degrees F.
In a large bowl, combine the all-purpose flour, 1 ½ cups of whole wheat flour, instant yeast, brown sugar, and molasses and mix until well combined. 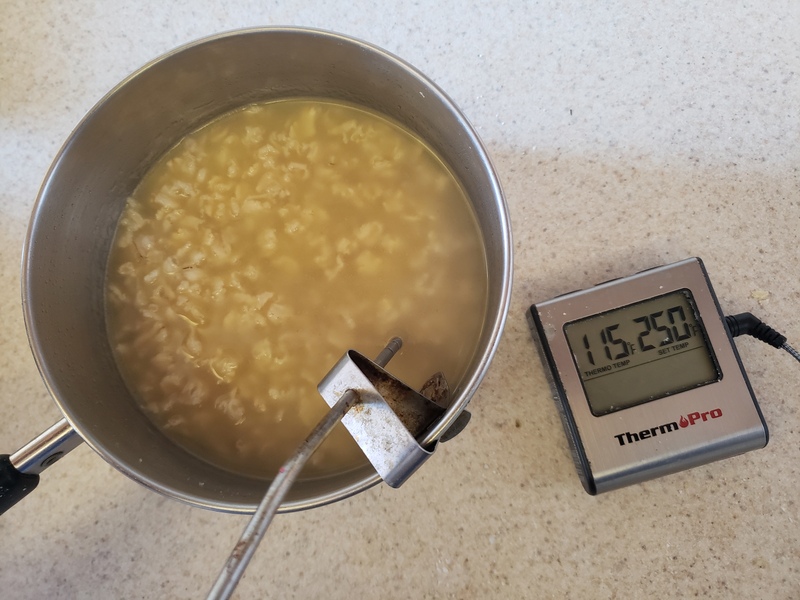 Add the cooled oatmeal mixture and mix well. 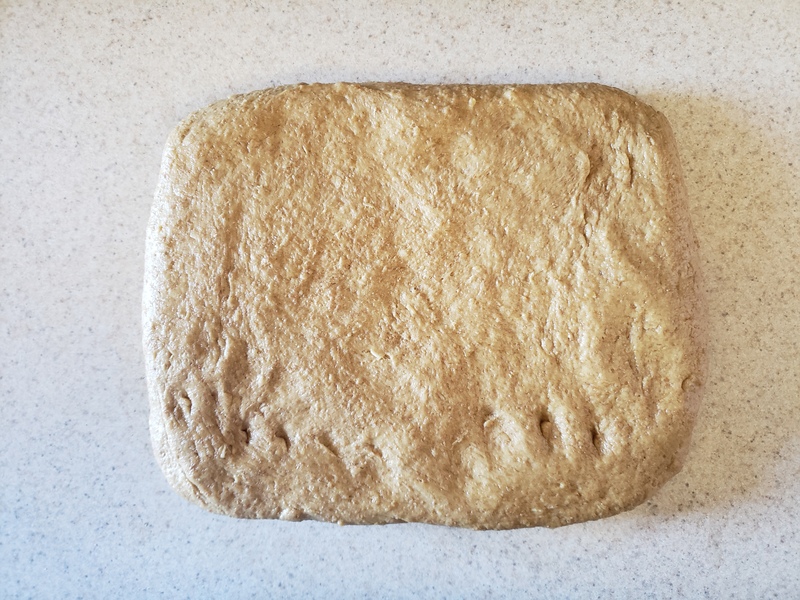 Add enough of the remaining ½ cup of whole wheat flour to form a soft dough that is slightly tacky. 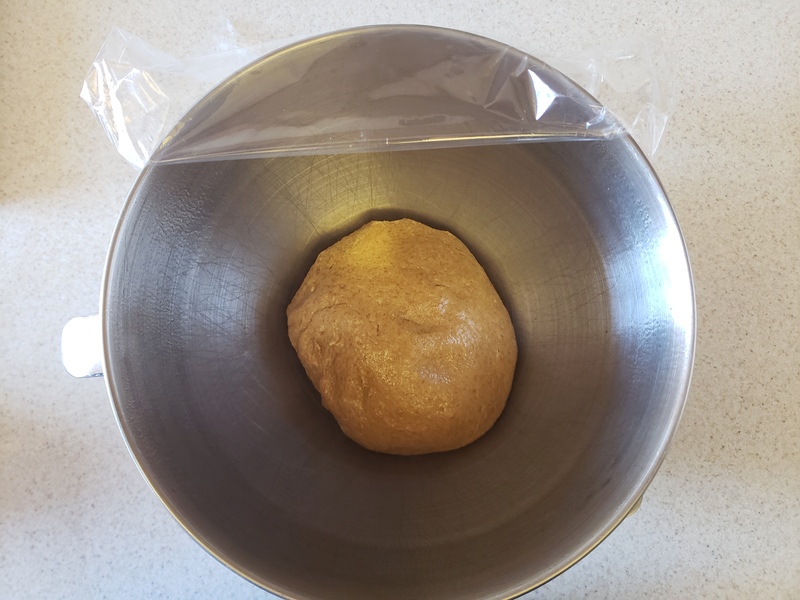 Knead the dough for 6-8 minutes until smooth and elastic. It will still be slightly tacky. 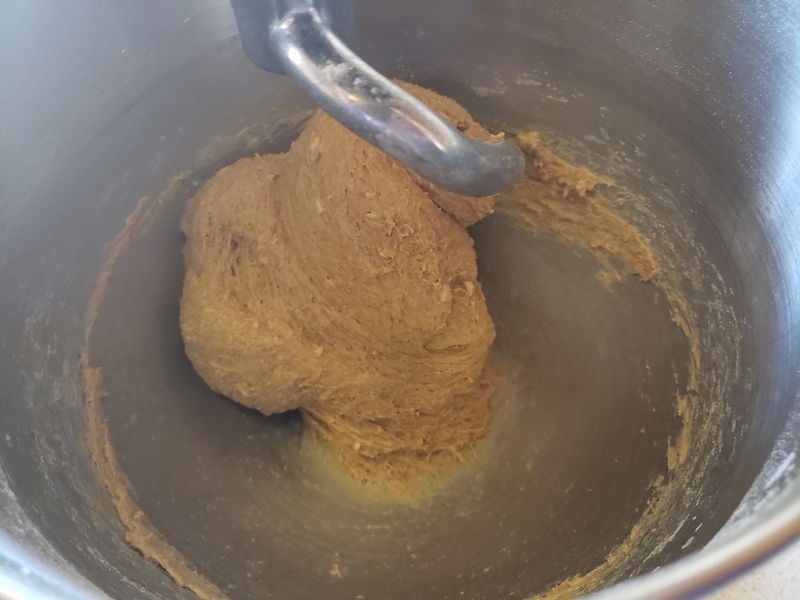 Grease a large bowl and place the dough in it, turning once to coat with oil. 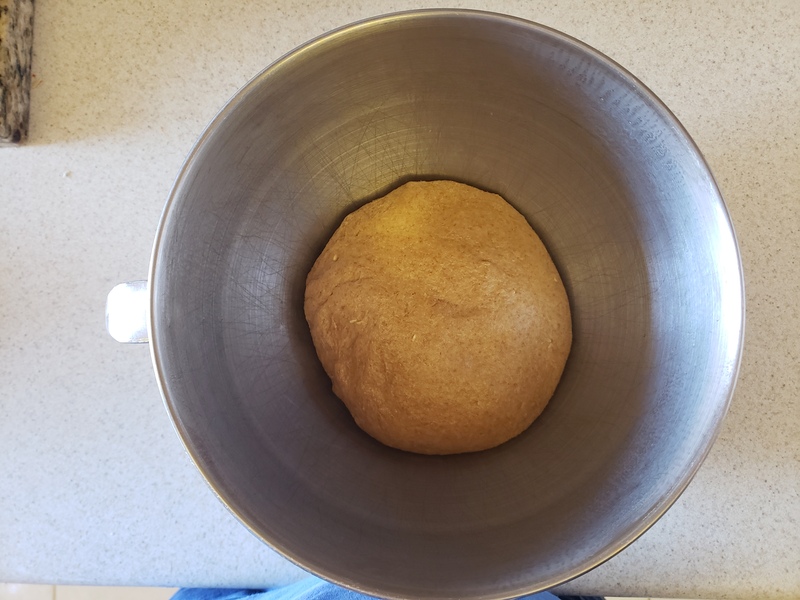 Cover the bowl and allow the dough to rise until doubled, about one hour. Punch down the dough and pat it out to a 5in. by 6-8 in. rectangle. 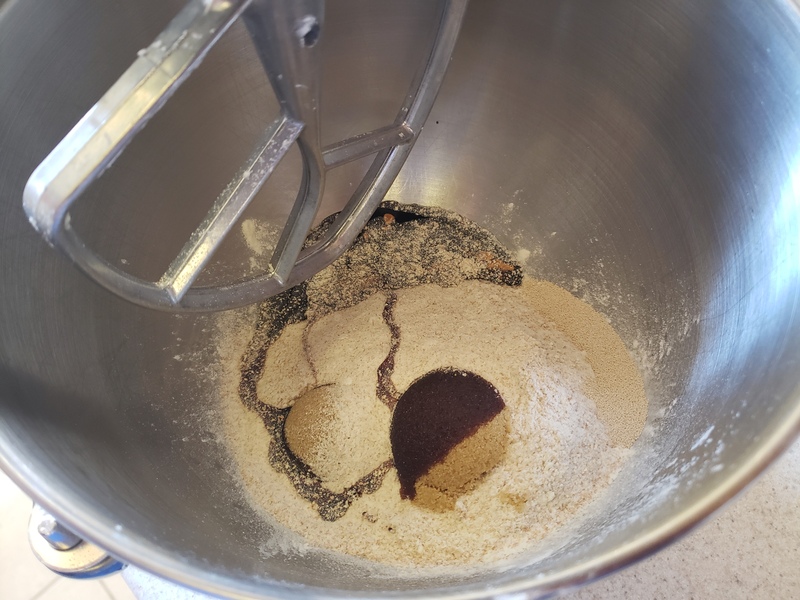 Starting from the short end, roll up the dough, pinching seams along the way to increase surface tension. Pinch the final seam shut and gently rock the loaf to even it out. 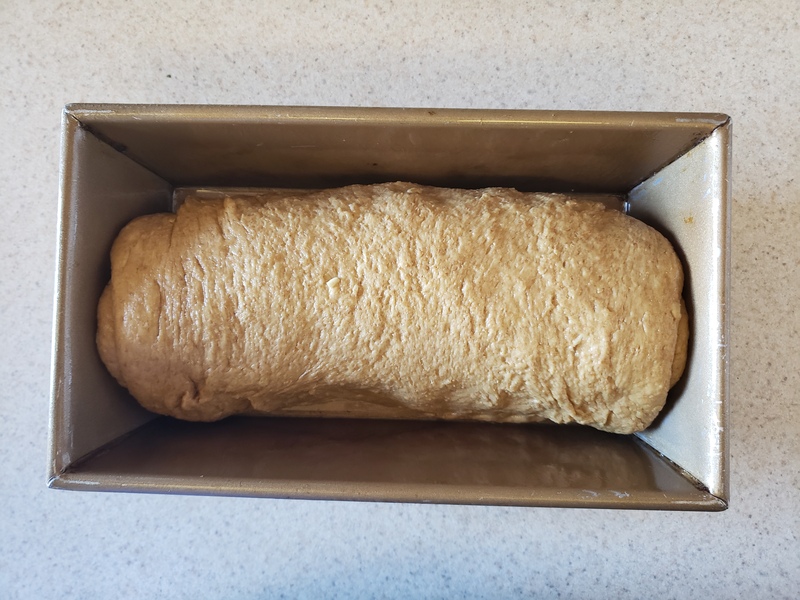 Place the loaf, seam side down, in a greased loaf pan and cover lightly with greased plastic wrap. Let rise until doubled again, about 30-45 minutes. Preheat the oven to 375 degrees F and bake the bread for 30-35 minutes, or until golden brown. The internal temperature should measure at least 195 degrees F.
Remove the bread from the pans and brush the top with melted butter. Cool completely before slicing. This loaf is moist, rich, and full of flavor. 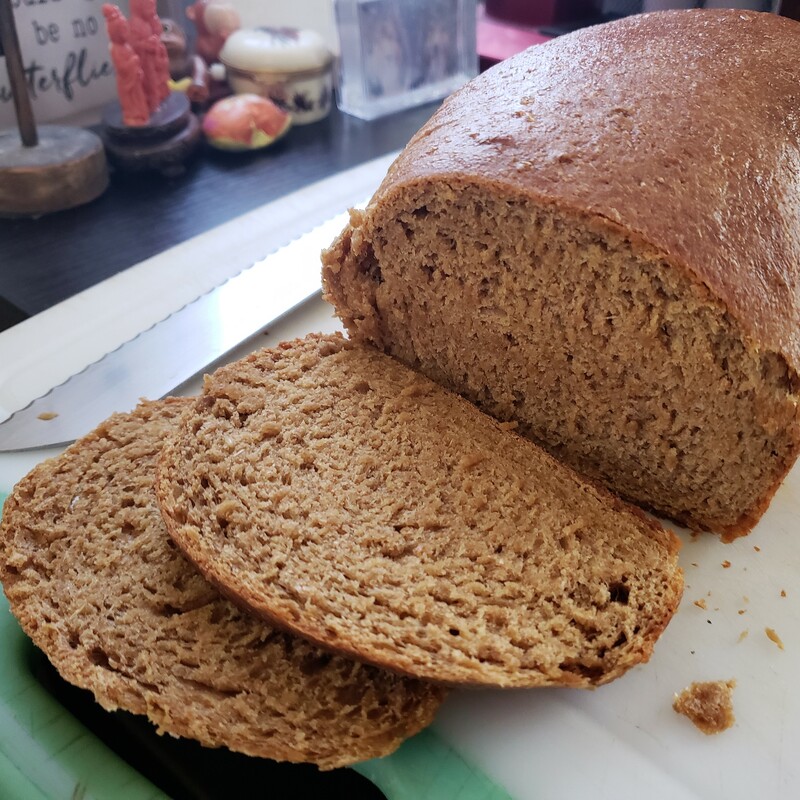 It was surprisingly soft and light despite the large proportion of whole wheat flour. 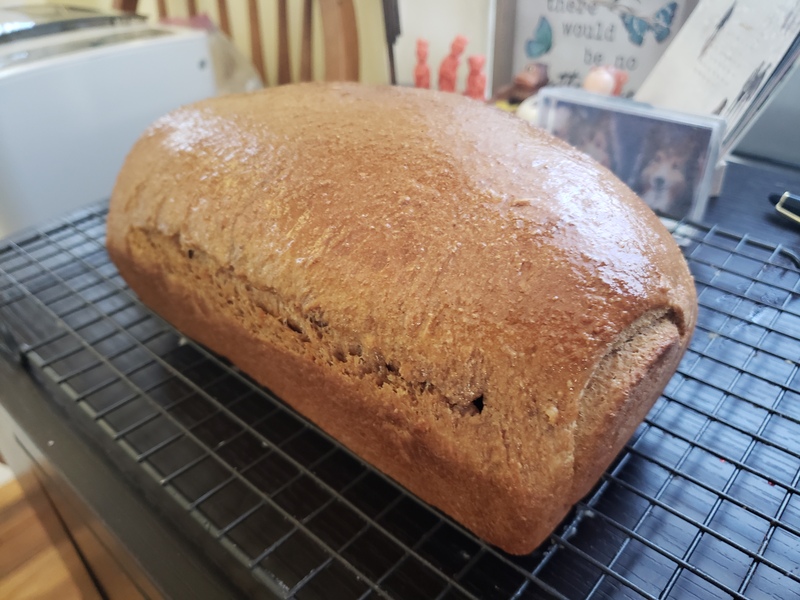 I kept warm in the kitchen while it baked and enjoyed the wonderful scent filling up the house. I bet it will make amazing toast, too! Hope you are finding ways to take the chill off. Definitely try this one out. 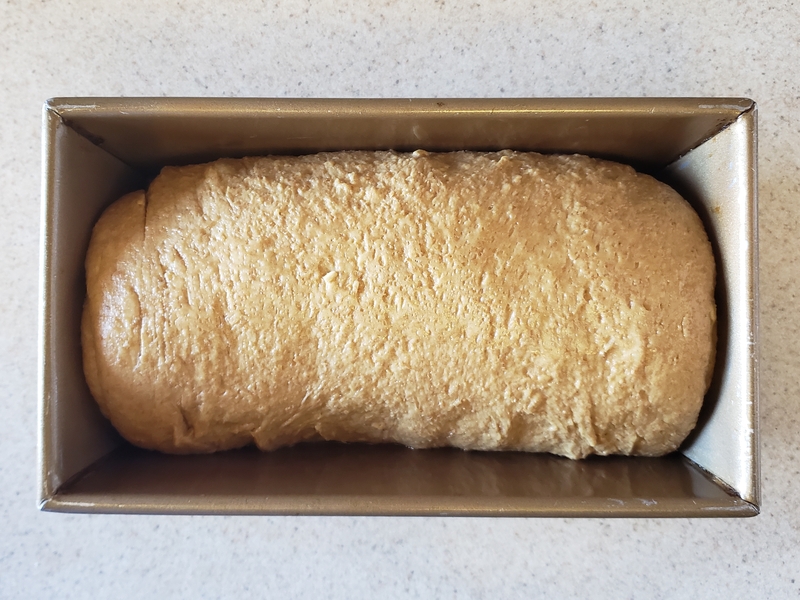 There’s nothing more heartwarming than baking your own bread.